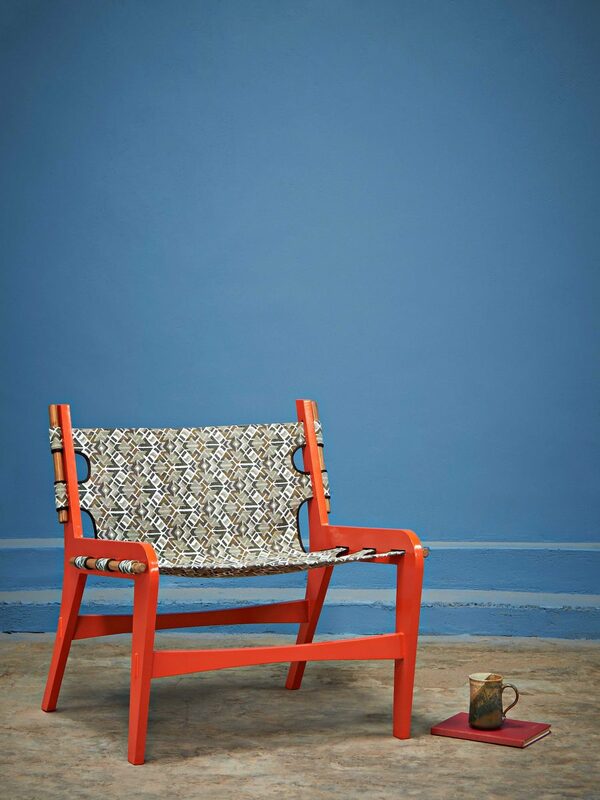 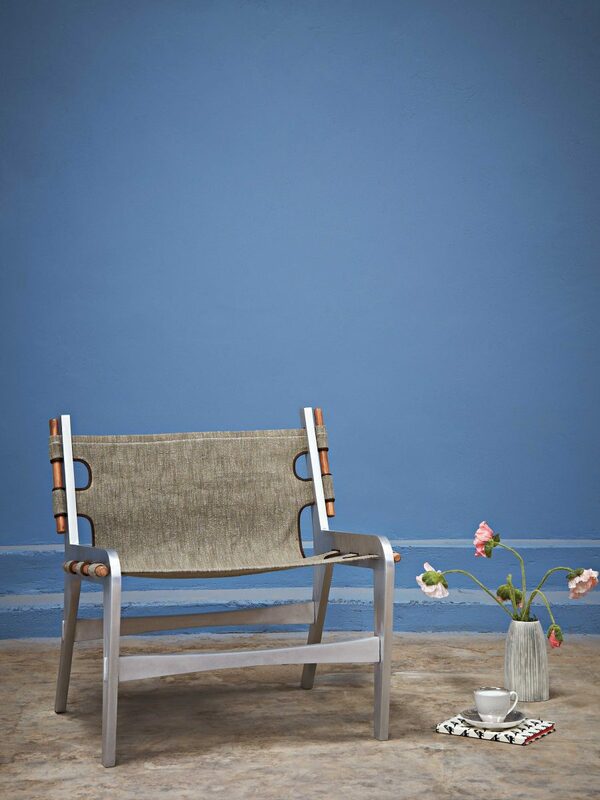 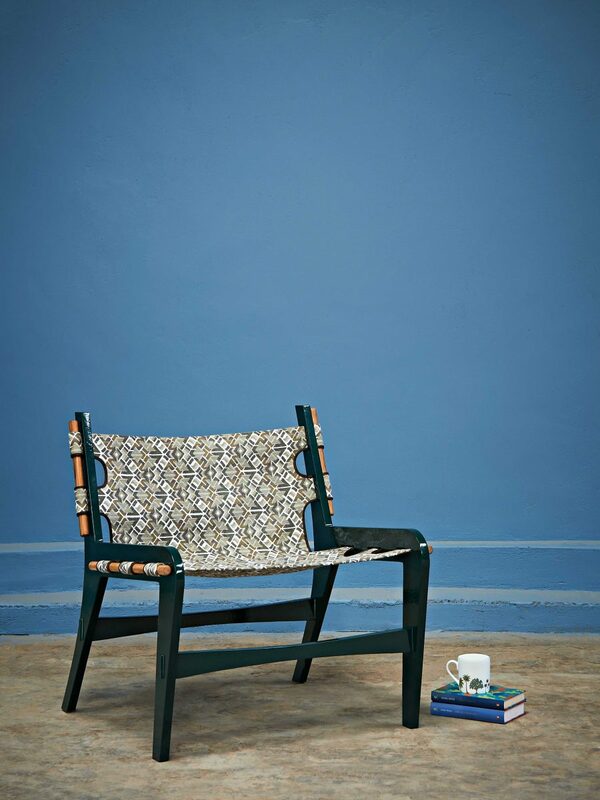 A modern Bergère chair made from cast aluminium and powder coated to any RAL colour. 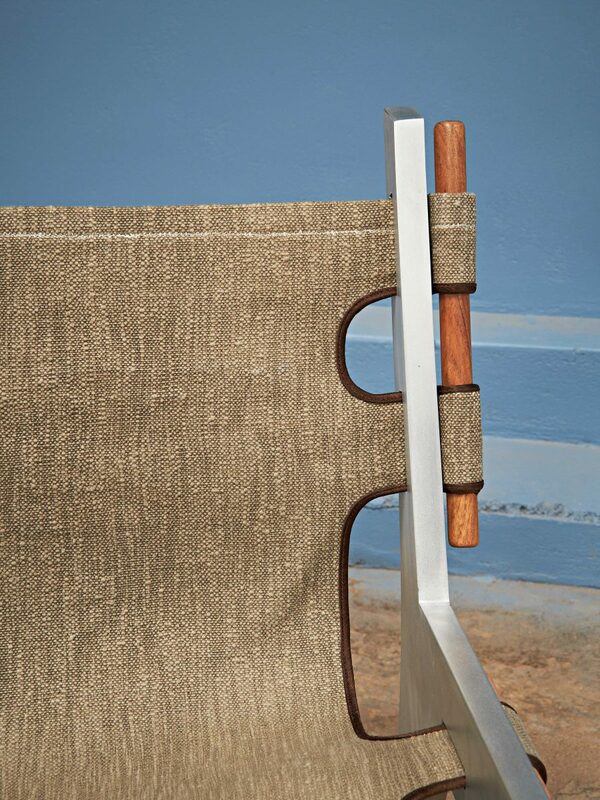 The chair has a sling seat and back. 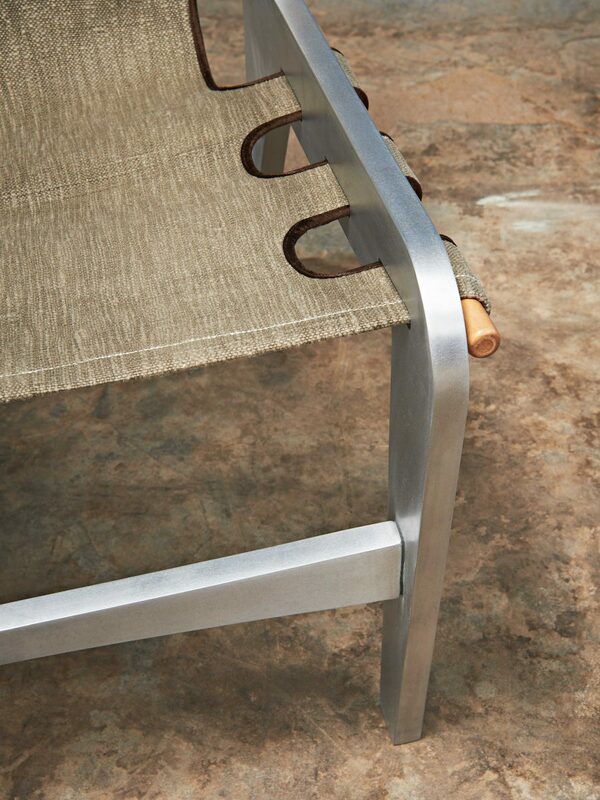 Shown in silver, SOLID PLAINS, Handwoven Cotton, Grey. 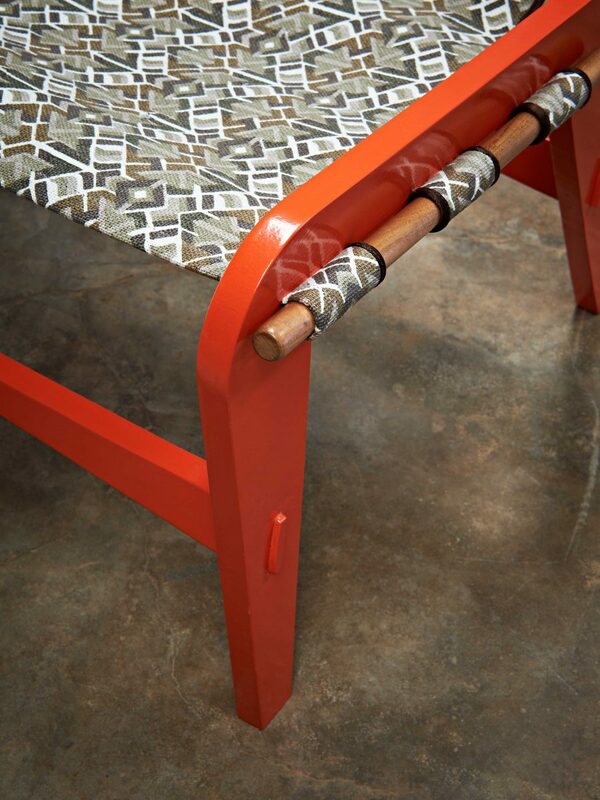 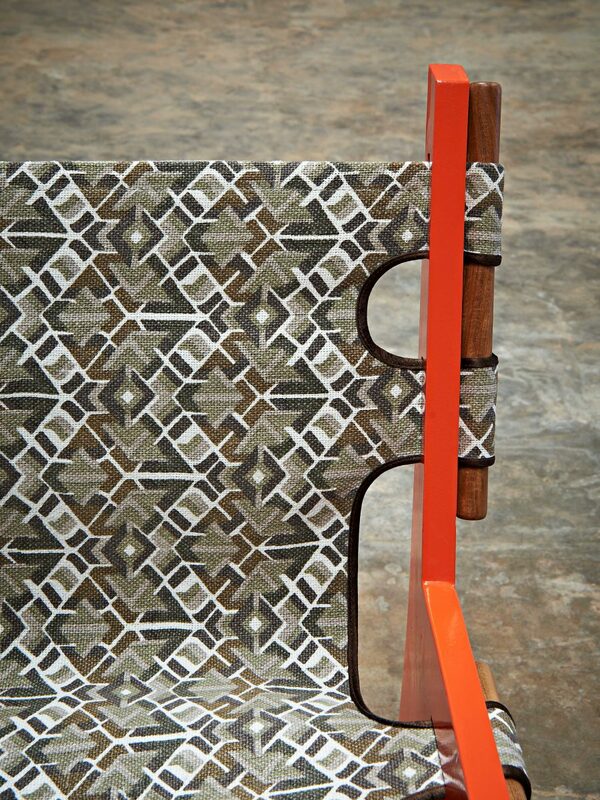 Red, GEO MOTIF, Handwoven Cotton, Taupe Charcoal. 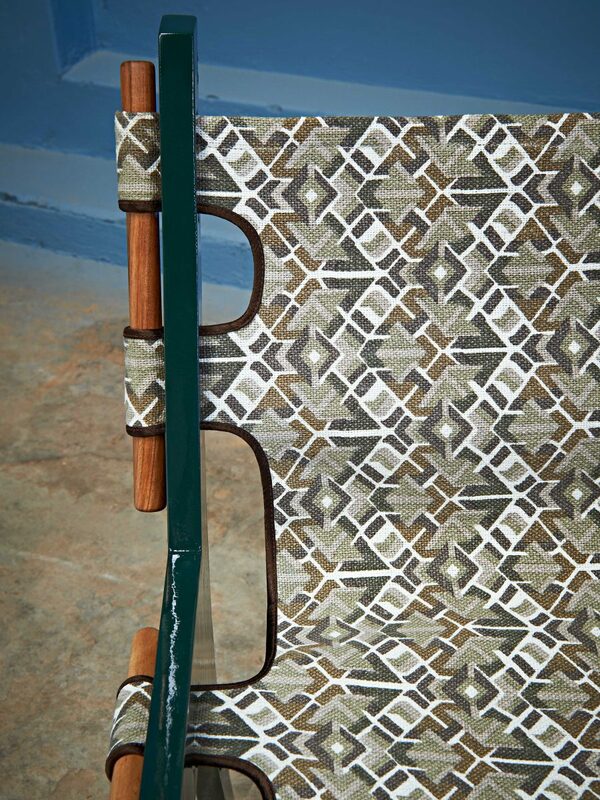 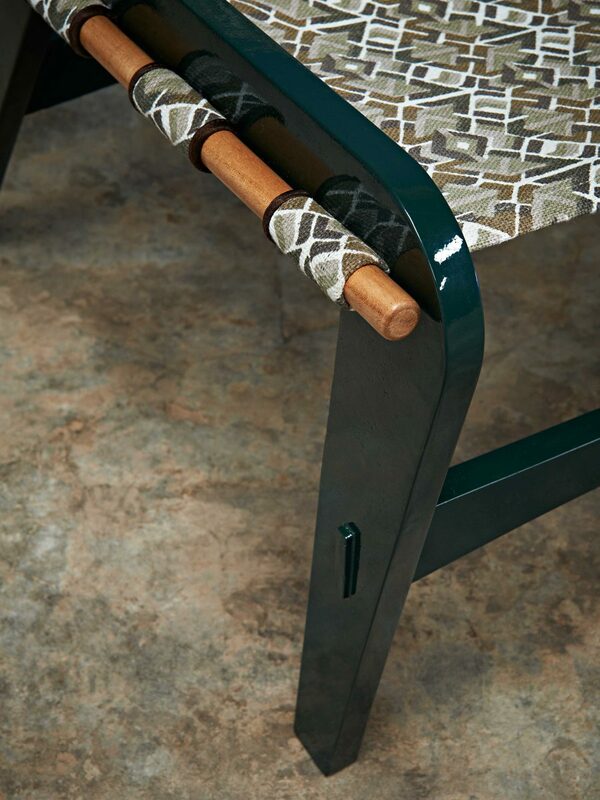 Green, GEO MOTIF, Handwoven Cotton, Taupe Charcoal.